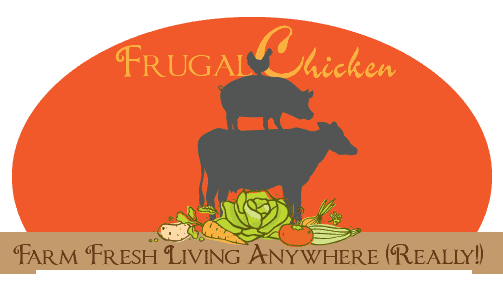 You are here: Home / Our Animals / Chickens / Get Rid Of Flies In Your Chicken Coop For Happier Hens! Get rid of flies in your chicken coop this summer before life gets too buggy. We’ve got our fly control situation in full gear (hot Southern summers!). With the amount of manure we have on our farm (with horses, pigs, goats, and rabbits in addition to our chickens), to say we have a LOT of manure is something of an understatement. The key to getting rid of flies, I’ve found, is to try to stop them from breeding. While you’re never going to get rid of ALL of them, you can do a good job decreasing the population, especially if you have just a few chickens. Studies show that if you get rid of flies in your chicken coop, Campylobacter is less likely to spread, keeping you, your family, and your flock healthier. Luckily, keeping flies away from your chicken coop is easier than it seems as long as you follow a few critical steps. While there’s a lot of ideas in this article, I think the basis of any program to control flies is to start with a clean chicken coop. Without that critical first step, you’re just managing a situation that will eventually overwhelm you. You also might need to use more than one idea on this list—I’ve found preventing flies from returning takes a couple different plans of attack. 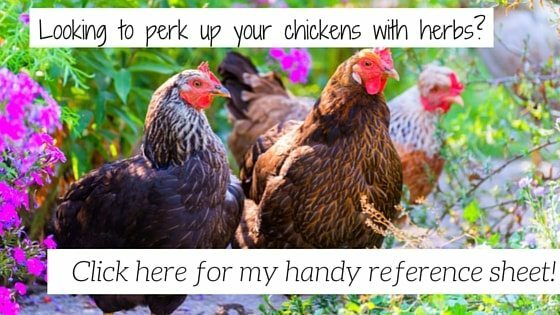 That being said, here’s ideas to get you started to get rid of flies in your chicken coop! Keeping your flock’s home clean will go a long way to helping you get rid of flies in your chicken coop. Flies like manure, muck, food, and whatever else they can find in chicken coops. If you make sure your hens’ home is relatively manure and crud free, less flies will be attracted to it. To clean your chicken coop, you can use a rake to remove soiled bedding, old hay from nesting boxes, etc. Sweep out whatever debris is left. Next, use plain water or water and citrus vinegar mixture with a scrub brush to get rid of any manure that might be hanging around your chicken coop. Wear rubber gloves, because this step can get kind of messy and with all the bacteria in your chickens’ digestive systems, you don’t want it getting on you. Finally, top everything off with a mint essential oil spray to kill bacteria and repel flies. When cleaning your chicken coop, do not use bleach at all. Bleach combined with the ammonia from their manure can create poisonous fumes. All natural is best in this case to get rid of flies in your chicken coop. Make sure, as well, that you’re removing old feed, since food attracts flies. 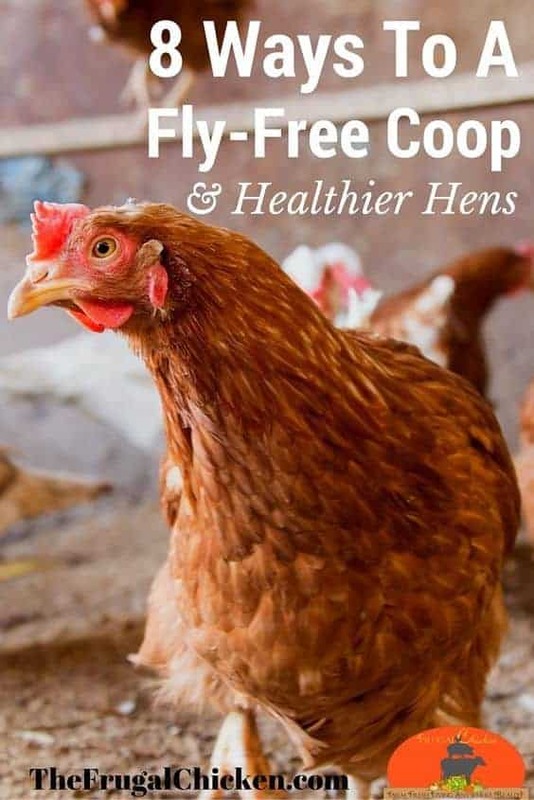 One study showed that flies might transmit avian flu, get rid of flies in your chicken coop to keep your flock healthy. Repellent is a pretty no-brainer way to get rid of flies in your chicken coop, but going all-natural is again your best option. You’ve taken all these steps to limit your flock’s chemical exposure already. Don’t drop the ball at the last minute and go with something laden with them. Making your own natural fly repellents is easy. Consider using mint or calendula essential oils, which are said to repel insects. After formulating your repellent, spray in your chicken coop daily or as needed. Strips are a non-invasive method that works well to get rid of flies in your chicken coop. We use them in our house, and as soon as we put on up, within minutes, flies have found their way onto them. The problem with strips is if you have a lot of chickens, they probably won’t be able to keep up with the amount of flies. If you only have 4 or 5 chickens, however, and your coop is otherwise clean, then you can give them a try. Just remember that fly strips can’t really take the place of a clean chicken coop. So, they’re best used as part of an overall pest control plan, rather than relied on as a sole strategy. Certain herbs are known to be pest repellents, and might help get rid of flies in your chicken coop. Mint and calendula (marigold) are two herbs known to fight off the mighty fly. You can hang dried or fresh herbs in your coop as part of an overall pest control plan. They also have an added benefit: they’re very good for your hens, so if your flock decides to snack on them, so much the better. You can also incorporate live marigold and mint plants around your chicken coop. It’s a nice way to upgrade your chicken coop area as well as reduce the fly population. Fly predators are gaining popularity, and we’ve used them around our horses in the past. These are live insects that feed on larvae to interrupt the breeding cycle of flies. You do need to use them monthly, but you can find 5,000 predators for about $20. While they’re effective, if you live near other farms that don’t use them (such as large dairy farms or farms that don’t exercise any fly control), they’re less effective. They’re more expensive than other options to get rid of flies in your chicken coop, but not outrageously expensive. Consistent air flow is one way to reduce the fly population in your chicken coop, and although it’s simple, it’s quite effective. If there are open windows on either side of your coop, then a strong cross breeze will keep flies away. Another option, if your chicken coop has electricity, is to use a fan. Make sure you use a gentle circulating fan rather than a large industrial one to ensure your chickens don’t accidentally get injured. While any fan can obviously hurt them if they try hard enough, a fan with a safety grate with ¼” openings or smaller will work fine. Diatomaceous earth works by cutting through the exoskeletons on insects, and so it can help reduce the flies in your coop. When your hens are out of the chicken coop for a while, sprinkle the DE around lightly. Remember that it can be caustic if inhaled, so wear a safety mask. It won’t work immediately—DE takes a while to get into the flies’ bodies, but it works against larvae as well. 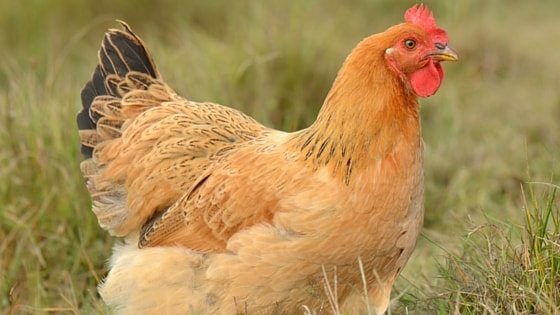 Your chickens themselves are a good way to control flies. On our farm, we have 8 horses, and few flies comparatively because the chickens hunt the larvae and keep the population under control. In fact, we have several chickens whose entire existence is about keeping the flies down. Traps work relatively well killing adult flies. But there’s a couple caveats that I should mention. The first is that you’re only killing adults—not getting rid of the larvae. So you’re reacting to all the bugs in the coop, and not hitting them where it matters. The other thing about traps is after a while, they smell ungodly disgusting. To this day, I cannot walk by one without wanting to vomit. Particularly if you’re pregnant, avoid using traps, and opt for a different solution. You’ll thank me. So, if traps work for you, then go for it, but there’s other options I prefer to try first. Do you have any ideas to get rid of flies in your chicken coop that I missed? Leave a comment below! Get rid of flies in your chicken coop this summer before life gets too buggy. Here's how to do it naturally. Do you use the peppermint oil in full strength? Yes because you’re only using a few drops. I believe keeping my coop clean is the best way to reduce or get rid of flies. Thanks this is good info love to use natural solutions to problems! I have 9 girls and want to keep them happy because they provide yummy eggs for me❤️? Hanging lavender in the coop also helps repel insects. We use it in our house too!! I am just starting out with three little chicks. I am reading and taking everything in I can. Keeping the coop clean and using herbs are an essential part of my routine. Also I have found the some garden grade lime and cedar chips help alot as well to keep smell and flies at Bay. We use Sweet PDZ, a non-toxic mineral that absorbs and neutralizes odors like crazy. It’s meant for horse stalls but works great sprinkled in the coop bedding. I even use it in the brooder box when my chicks are old enough to stink! Also, over the years I have found that sand makes the ideal bedding for my southern climate. I scoop it like a litter box and dump the doodoo into the compost bin. Since our soil is such heavy clay in north Georgia, sand is a good soil amendment. Hang in the coop open and flies will drown in the sugar water. Yep, that works well! Any ideas how often you should change it though? When we tried, it got stinky so fast. I had heard that cedar isn’t good for hens…the aroma can overwhelm them. Is there a trick to knowing how much to add? I’ve not experienced that, but you can always use pine shavings if you’re worried! I’ve used cedar chips in the Hen house for years! It doesn’t seem to bother my hens at all and have eggs year around!!! That’s all I put in my nesting boxes! And the Hen house always smells great!! !